Lesa Nelson, a member of Star of Indiana from 1988-1990, sent this photo. This photo is of my two-year-old daughter Aly. She and I watched the Blue Stars rehearse and helped out in the food truck. 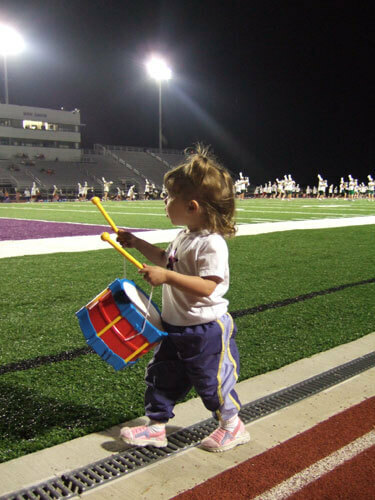 She really enjoyed watching the Blue Stars and loves to play on her toy drum. She doesn't know it yet, but she's destined to be a baritone player like her mom and two aunts! Go Blue Stars!